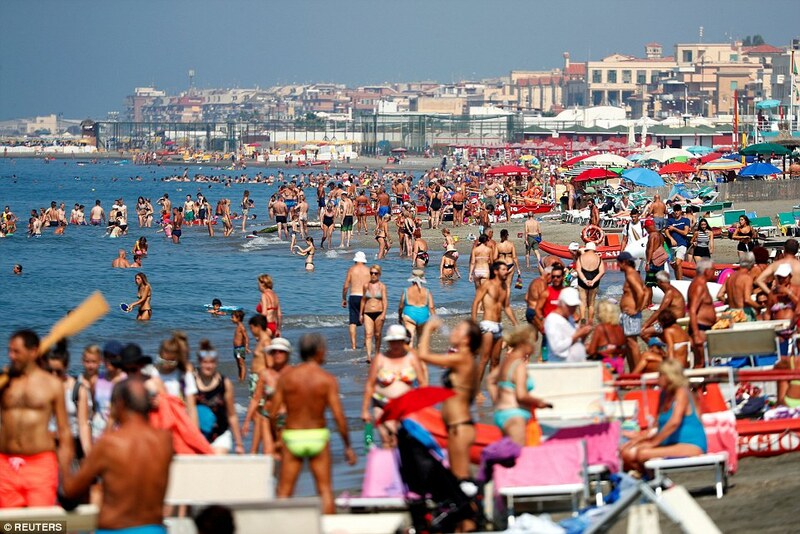 Holidaymakers heading to Spain and Portugal were warned of an extreme heatwave which could see the hottest-ever temperatures recorded in continental Europe, Photo Reuters. Europe's weather warning group, Meteoalarm, has already issued red warnings - categorised as very dangerous and pose a risk to life - for much of southern Portugal and for the Badajoz province in Spain. Parts of North Western Europe has been gripped by a heatwave since the end of May with droughts hitting farmers in Sweden, the UK and Ireland, Holland, Belgium and Germany. Many of the above countries have not had any significant rain since the beginning of May. Wild-fires have swept through Greece, the UK Spain and Sweden as the parched countryside has been turned into a tinderbox. Rivers and reservoirs around Europe have reportedly run dry in many parts, apart from a downpour last weekend North Holland where I am based has not had any significant rain since early May nearly 3 months ago, see pic below. A school playground in North Holland showing parched and dying grass. "The exceptional heat over the Iberian peninsula could have serious consequences on people there, and on transport, and on tourists who aren't used to that heat - and of course locals won't be used to these kinds of extreme - so certainly something to keep an eye on," said Aidan McGivern of the Met Office. The Madrid region has been put on orange alert, as has the nearby province of Toledo, the Extremadura region and parts of western Andalucia, including the provinces of Sevilla and Cordoba.